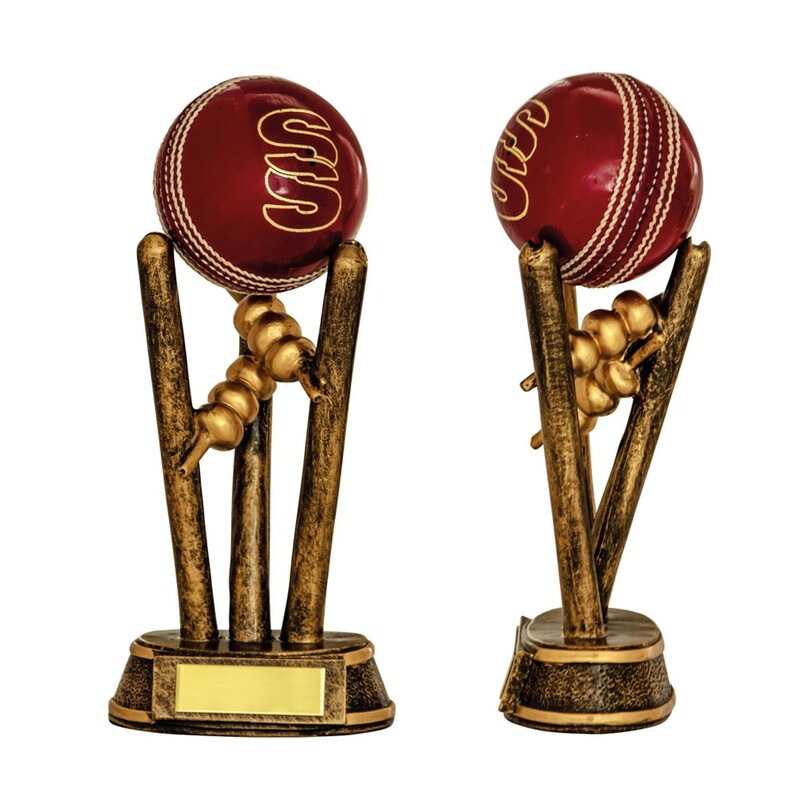 Cricket ball display stand in antique gold mounted on heavy base. This fantastic item measures 150mm high. Please note the ball is for illustration purposes only and NOT included.